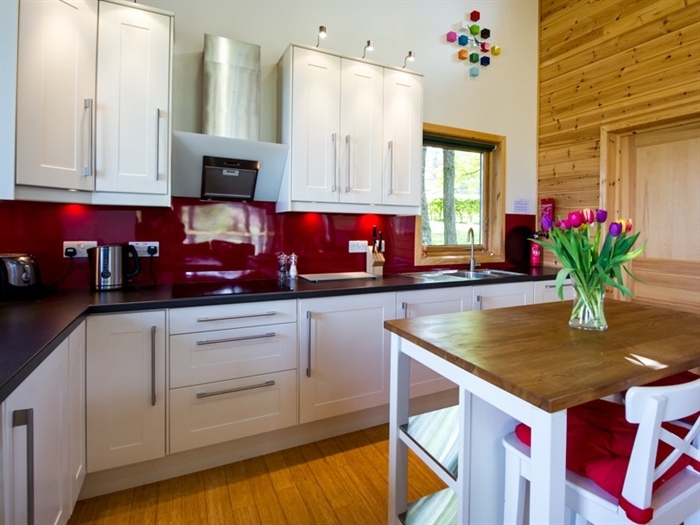 Luxury self-catering accommodation for couples. Braes Lodge also offers a classic Morgan sports car for hire for that special occasion. Perfect for a romantic break. 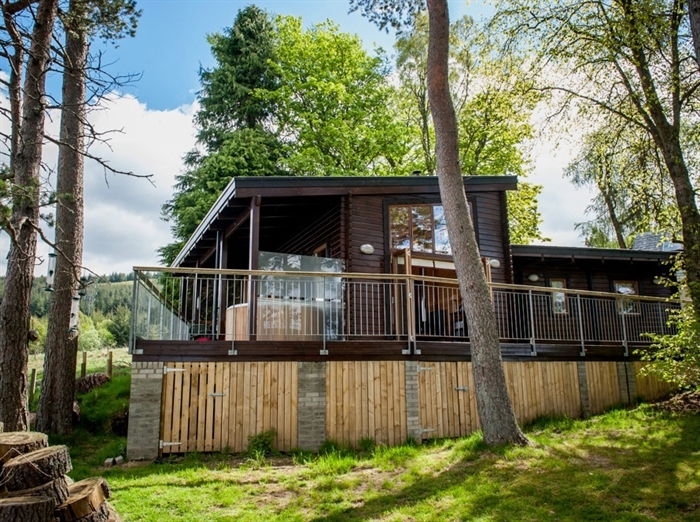 Braes Lodge is located in the very heart of Highlands Perthshire and sits at Scotland's geographic centre so provides easy access to most of Scotland and its many attractions whilst being private enough to escape the pressures of everyday life. 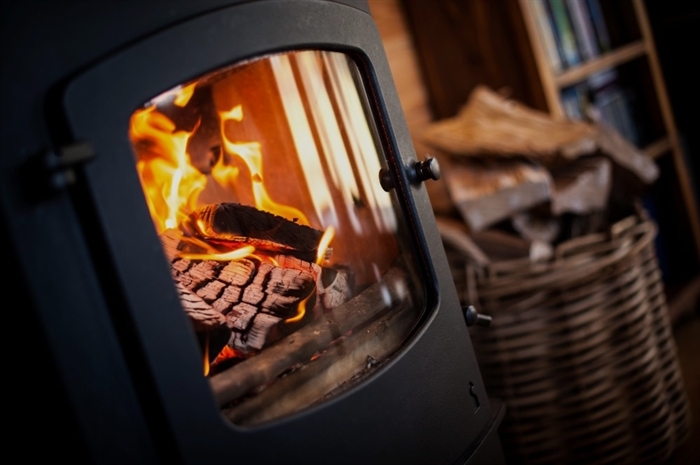 At any time of year, this is the perfect retreat. The balcony has the hot tub along with table and chairs and gas-fired barbecue, all under cover and available to enjoy whatever the weather. 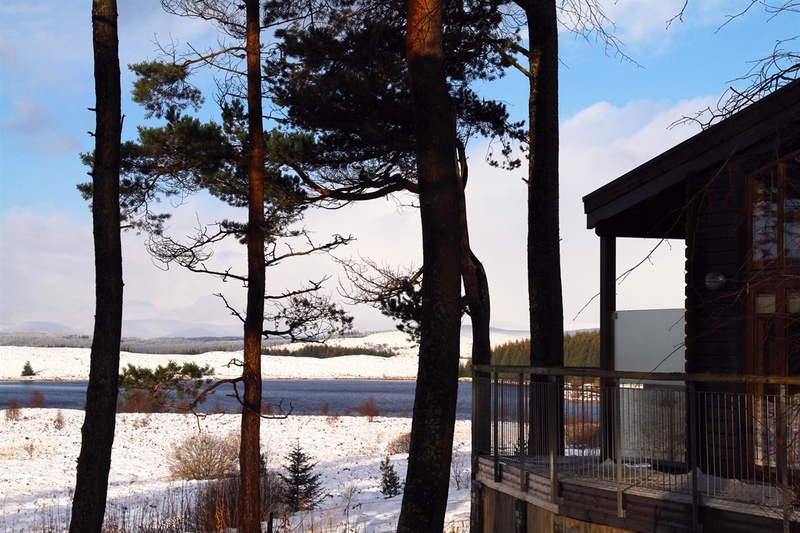 The living accommodation is open plan with high ceilings and two sets of folding doors opening out onto the balcony which overlooks Schiehallion to the West and Loch Kinardochy to the North. 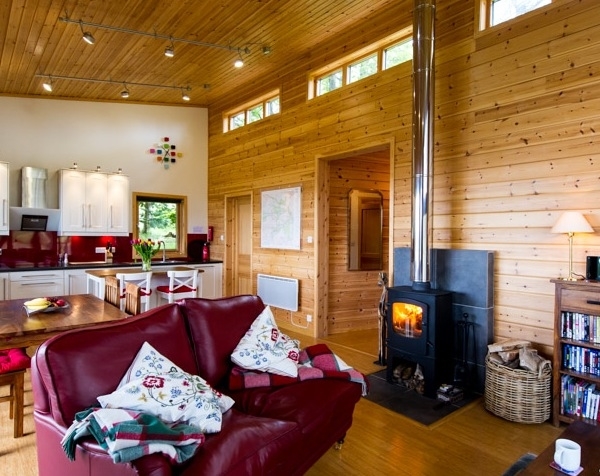 Warm furnishings and a log burning stove make this room cosy on chilly nights and days. Separate boot room with its own entrance. The main bedroom has and en-suite shower room and king-size bed. All utilities, linen, logs and barbecue gas are included. Picnic hampers, jackets and wellies are provided for guests to use. A complimentary welcome hamper is supplied upon arrival. Asda and Tesco both deliver to Braes Lodge and we are happy to receive deliveries and put them away ready for your arrival so you can arrive and instantly start unwinding. There are plenty of local attractions including Blair Castle, Highland Adventure Safaris, House of Bruar, Castle Menzies, four distilleries and the Scottish Crannog Centre. Aberfeldy, known as the 'water sports capital of Scotland' is ideal for those who enjoy the great outdoors. Wildlife, walking, cycling, fishing, golf, off-roading, archery, quad biking, paintballing and shooting - the area has so much to offer. 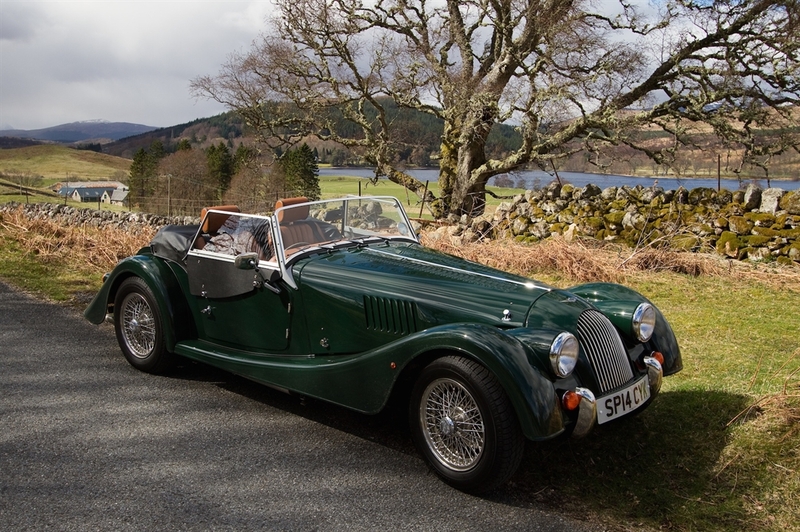 Braes Lodge also offers our guests a classic Morgan 2-seater for rental to enhance your holiday experience. Enjoy Perthshire and the beautiful Scottish Highlands in this iconic British sports car. Our 2014 Morgan 4/4 provides you with reliable motoring allowing you to relax and enjoy your classic car experience. Many great drives along picturesque roads await, taking in Pitlochry, Kenmore, Loch Tay, Loch Tummel and the lovely Loch Rannoch. 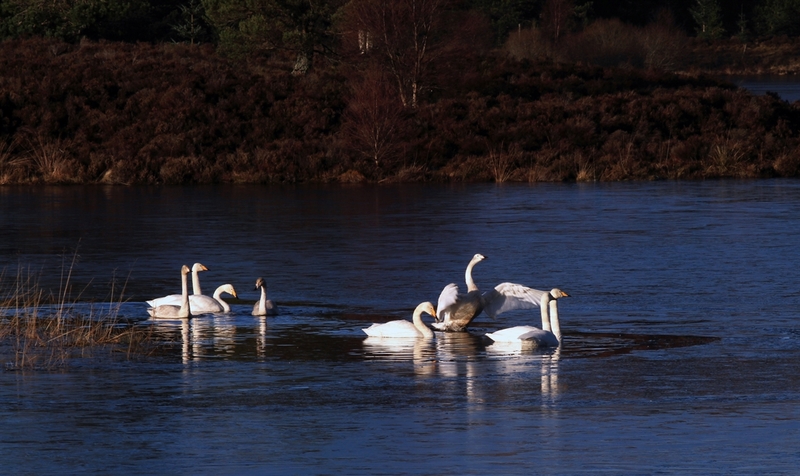 Glen Coe, Fort William and Aviemore are also all within a day's drive from Braes Lodge. A drive south could take you to Perth, Crieff or to Stirling with its historic castle and city. Why not celebrate that special birthday or anniversary with a little nostalgia and style. 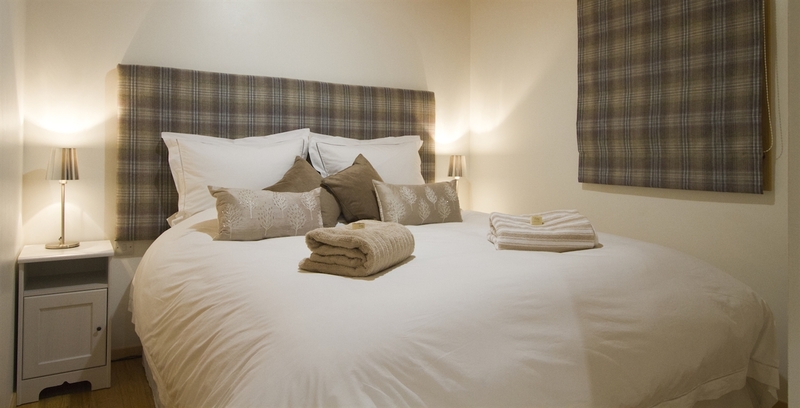 Braes Lodge offers gift vouchers personalised for your special occasion. 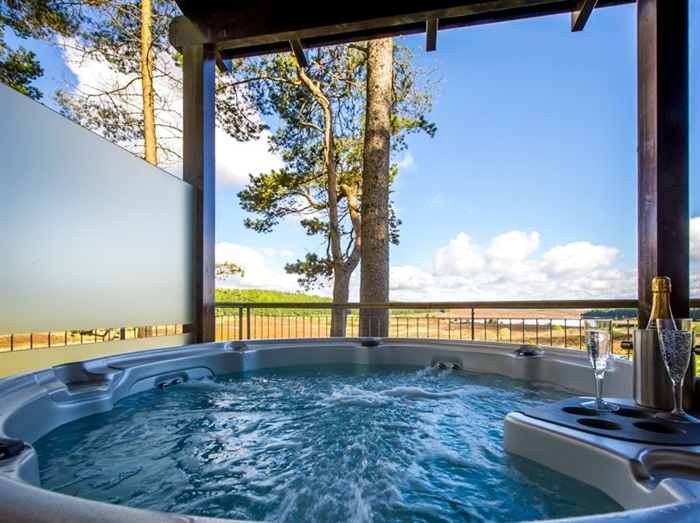 Surprise your partner or a relative with a unique combined Morgan and Braes Lodge package. Just contact us and we'll help you to arrange the perfect gift.